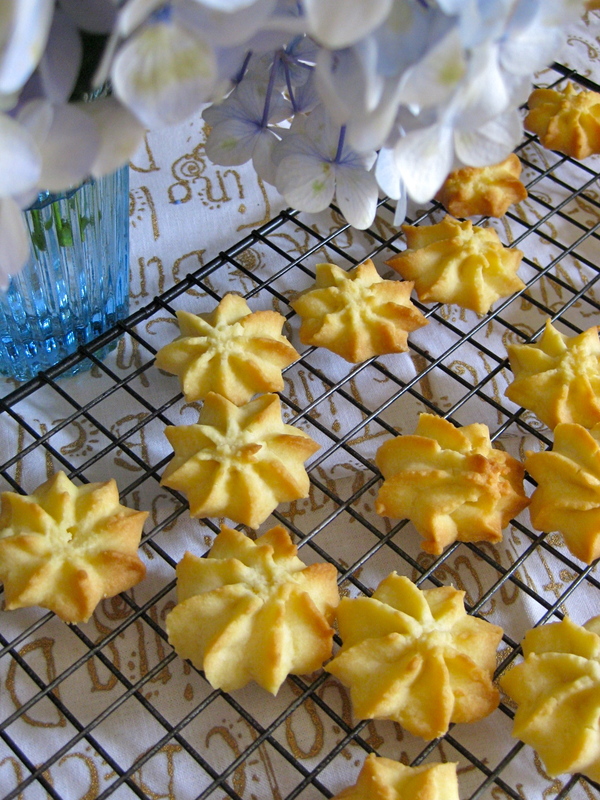 These shortbread rosettes have just the right amount of crumble and crisp and they’re a recipe from the Australian Woman’s Weekly recipe book. Let the mixture warm up and soften a bit in the piping bag before you try to pipe the mixture, otherwise you will end up with RSI in your piping hand. It is really difficult to squeeze the mixture out straight away, but as the butter melts it gets easier. Beat butter, vanilla and sugar until light and creamy. Stir in flour and mix to a soft dough. Spoon mixture into piping bag and pipe rosettes about 3cm apart on a lined baking tray.